I am an attorney who does a lot of family law, divorce, child custody and property division claims in Rockwall, Dallas, Hunt, Collin & Kaufman counties. As such, I get lots of questions about what my clients should do after their divorce is completed. Here is my list of the essential things to do after your divorce is finished. Believe it or not, some people will not read their divorce decree. People make the mistake of assuming they know what’s in the decree, so there’s no need to read it. 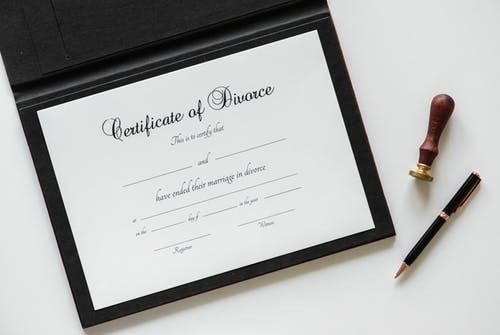 You want to reread your copy of the divorce decree to ensure you are familiar with its contents, but also to make sure it contains no mistakes. When reading the decree, make a list of your obligations and your former spouse’s obligations under the decree, as well as the deadlines by which these items are to be addressed. If, when reading the decree, you see any typos or other mistakes, immediately notify your divorce lawyer. He or she can take care of getting the mistakes corrected. After reading your divorce decree, you’ll have a list of tasks you need to complete. (For example, the divorce decree may require you to remove your spouse’s name from your home loan by either selling your home or refinancing your mortgage.) Make sure you’ve added these to-do items to your calendar and address them promptly. You don’t want to be in violation of your divorce agreement simply because you forgot to do something. Similarly, you should also add your former spouse’s obligations to your calendar. If he or she fails to perform tasks by the deadline, follow up with your former spouse (or your divorce lawyer) right away. If you let your ex miss one deadline, you can be sure that he or she will probably miss other deadlines. A divorce is a major life-changing event. It’s stressful and disruptive to your regular routine. Take some time for yourself. Reconnect with friends, join a gym or plan a vacation. If you have children, remember that their lives have also been shaken up. Give them extra love and spend extra time with them, and pay attention to their moods. Younger children in particular may have trouble coming to terms with the divorce, so pay attention to what they’re saying and what’s left unsaid. Consider talking to a family therapist if you think your children are having a difficult time adjusting. I am an attorney who does a lot of family law, divorce, child custody and property division claims in Rockwall, Dallas, Hunt, Collin & Kaufman counties. As such, I get lots of questions about what my clients should do after their divorce is completed. I hope the reader will find my list of the essential things to do after your divorce is finished helpful.